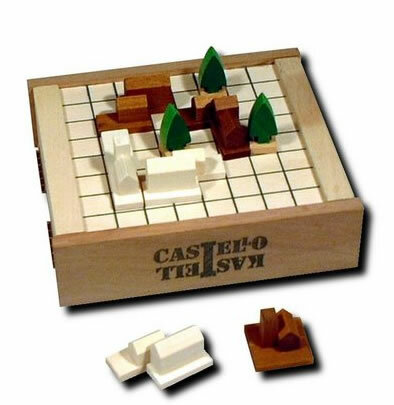 Kastell-Castello is a game by Niek Neuwahl and published by Loquai Holzkunst. Two players jointly build a fortress. Each player tries to skillfully place his elements, so the opponent cannot continue building at his next turn. He will then loose. The players place turn by turn 1 of their remaining pieces on the board (white starts). 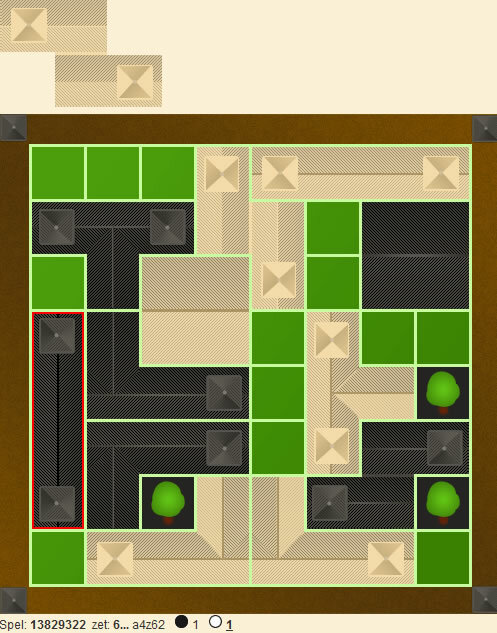 Pieces cannot be placed over trees or pieces already on the board. The pieces can be rotated. You can select a piece by clicking on the piece and rotate it by clicking it again. If you hover with the mouse over the board you can see if a piece fit and if it fits you can click again to place the piece. 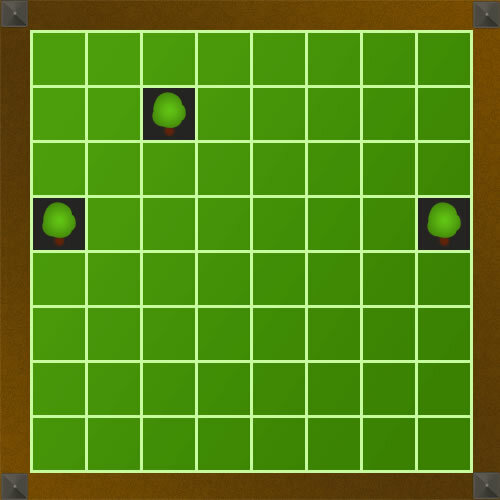 The game ends if the player whose turn it is, cannot place any of his remaining pieces anymore. The player that place the last piece, wins the game. See below for a finished game. Black won because the white piece cannot be placed anymore. The same rule applies when both players place all the pieces. The player placing the last piece has won the game.